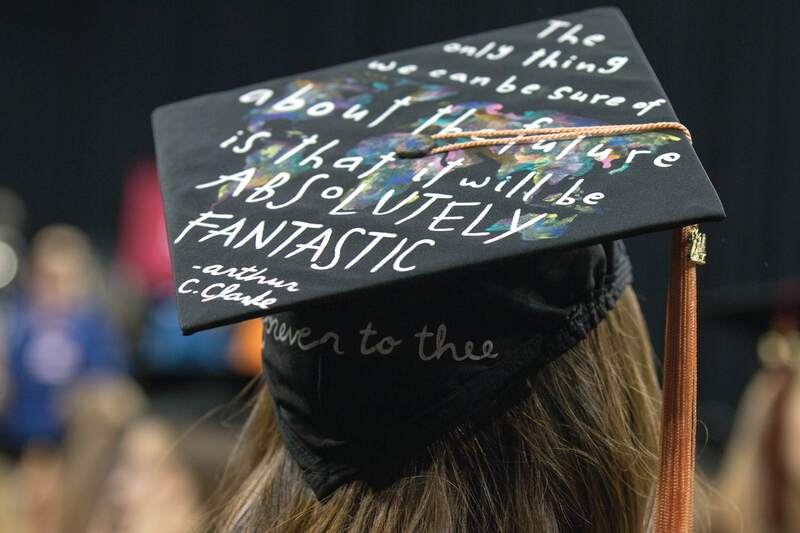 The Senior Class Legacy campaign is a united effort by Carolina seniors to leave their mark through philanthropic gifts that support future students. The tradition is inspired by the generosity of other donors to Carolina, especially alumni donors. From the day USC students set foot on campus, annual gifts quietly work to enrich the college experience by funding scholarships, recruiting beloved professors, providing for student group initiatives, enhancing classrooms, and strengthening the overall student experience. As a senior, you can pay it forward by making a gift to the area of your choice. This commitment begins a lifetime of involvement with the University of South Carolina and allows seniors to take part in the educational experience of tomorrow’s students. Help us reach our goal of 900 senior class donors by May 11th! A gift of any amount will count towards our goal. All donors will receive a Class of 2018 window decal as a small token of our appreciation. Those who give $20.18 or more will receive a cord to wear at commencement in recognition as a class donor. The cord, pictured above, is part green to represent your gift and part gold to represent your future giving as a Graduate Of the Last Decade. Cord distribution will be in early May and any donors who are eligible for this recognition will be contacted by Annual Giving staff. When you make your senior class legacy gift you get to decide what part of the student experience you’ll be enhancing. As a senior you’ve had time to reflect on the significance of your time at USC and most seniors give to the area which meant the most to them as a student. Choose to give to your school/college, scholarships, libraries, student life, or to the Carolina Fund which supports the areas of greatest need. Many students and alumni feel that giving back to Carolina is a way to pay forward the gifts they benefited from as students. As your classmates, we appreciate you continuing the tradition of annual giving that USC depends on. 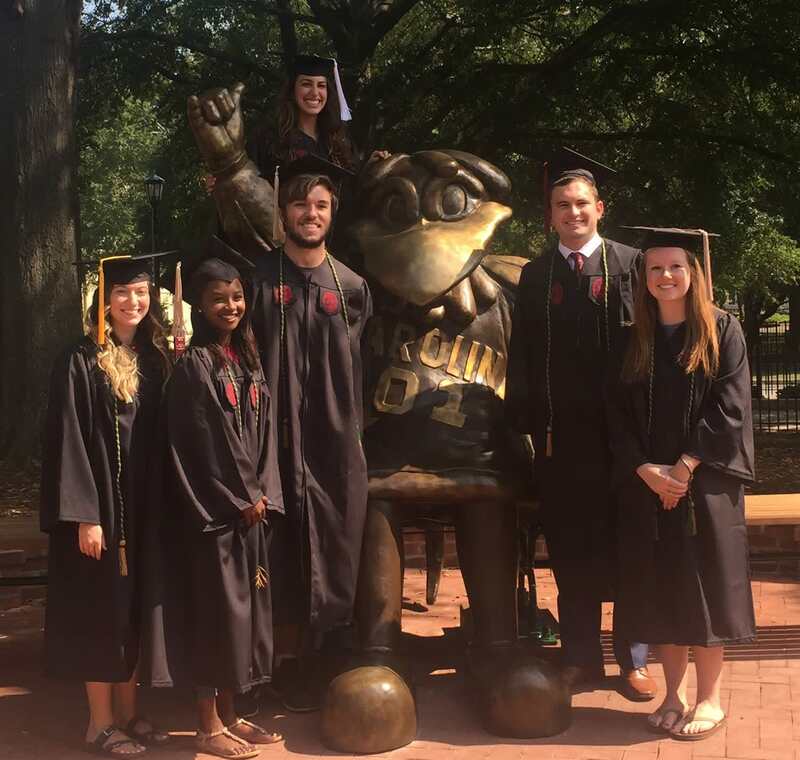 With your help, future Gamecocks will look to this campaign and remember the generosity of the Class of 2018! Have questions? Contact Nicole Lindberg at 803-777-6489 or NLINDBER@mailbox.sc.edu.